Blackpool’s Grand Theatre announces the appointment of its new Creative Team. Producer Phill Fairhurst, Grand Theatre Creative Learning Producer and Director Jo Cassidy a Board Director of the Electric Sunshine Project (TESP) of the 2018/19 Grand Young Company (GYC). This season, directing the Grand Young Company (GYC) will be Jo Cassidy, from local Arts Organisation and CIC, The Electric Sunshine Project. Cassidy who is a University lecturer in Performing Arts at Blackpool and the Fylde College, and a professional Actor and Theatre Maker. She is inspired by the work of DV8, Alecky Blythe, Steve Coogan, Victoria Wood, Caroline Aherne and Joe Lycett. Cassidy joined the Electric Sunshine Project in October 2017. Working professionally as an actor and theatre-maker, Cassidy is currently working on the Performing Arts team at St. Mary’s Catholic High school Blackpool. She has worked all over the UK as an actor in both television and theatre and continues to do so. Her most recent work has been focussed on her directorship and involvement in community pieces with The Electric Sunshine project with its founder and executive director Melanie Whitehead. Every year Blackpool’s Grand encourages thousands of young people to take part with its programme of arts activities and is committed to developing both the performers and theatre-goers of the future. The Grand Theatre’s mission is to be the theatre of choice for the people of Blackpool, Fylde and Wyre and to offer opportunities to enjoy, participate and learn through the arts. Last year more than 10,000 school children visited The Grand to see a show and a further 3,500 participated in other activities – workshops, classes, talks and tours. 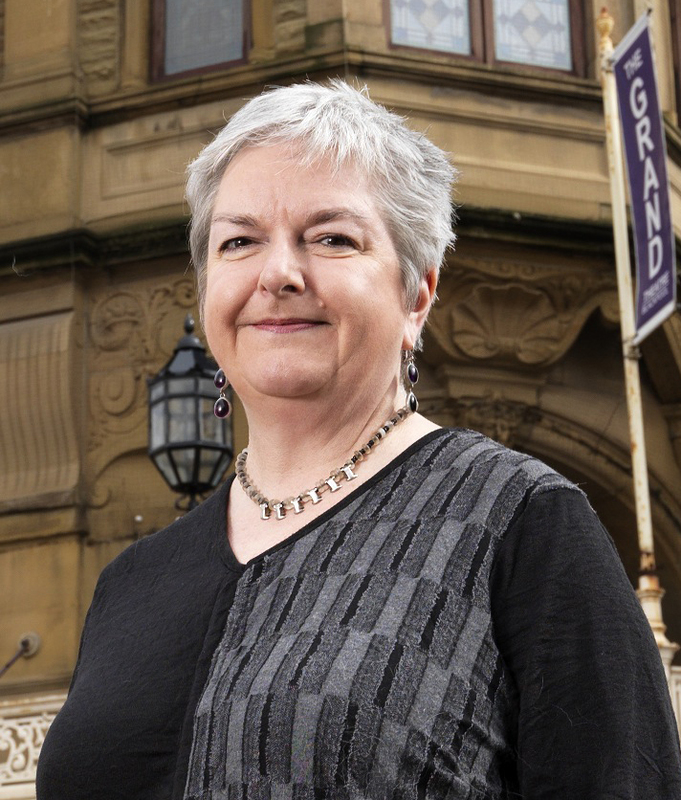 © Grand Theatre | Ruth Eastwood, Chief Executive. Grand Theatre Chief Executive, Ruth Eastwood announced last week that it will be holding open auditions for Young People (14-19) to be part of its 2018/19 Grand Young Company. The new creative team announced, Cassidy and Fairhurst, will work with the 2018/19 Grand Young Company on a very special production which will be linked to the National Theatre (NT) Connections programme. Fairhurst Blackpool’s GYC Producer said ‘This is an incredible project and I am so looking forward to working with the National Theatre and Jo. The Santander Foundation has generously supported The Grand to make this opportunity possible through The Discovery Project which supports local young people with confidence to discover and create a new world of opportunities. We both can’t wait for the creative process to begin. Soon we will be announcing our October open audition dates and we’re excited to form the next group of Young people in the Grand Young Company whom will have the opportunity to work on a National Theatre Connections programme’. This will be Jo’s directing debut at TheSTUDIO at The Grand. She is inspired by the work of DV8, Knee High, Frantic Assembly, Alecky Blythe, Steve Coogan, Victoria Wood, Caroline Aherne and Joe Lycett to name but a few. Each year the National Theatre commissions ten new plays for young people to perform, bringing together some of the UK’s most exciting writers with the theatre-makers of tomorrow. Every year 250 youth theatres and schools stage ten fantastic plays commissioned by the National Theatre. Main Image: © Blackpool Grand Theatre | Previous GYC Members.